How about challenging a cliché: Beauty is not in the eye of the beholder, beauty is in the beautiful. Consider wildflowers, springing in meadows with no set pattern or arrangement – wildflowers just bloom that way. Grass and weeds grow alongside, without stopping them from flourishing. Nothing is perfect about wildflowers, but they are “their own kind of beautiful”. No one needs to be told how splendid the sight of a meadow is, and how wonderfully the flowers look. All you have to do is ‘BE’. 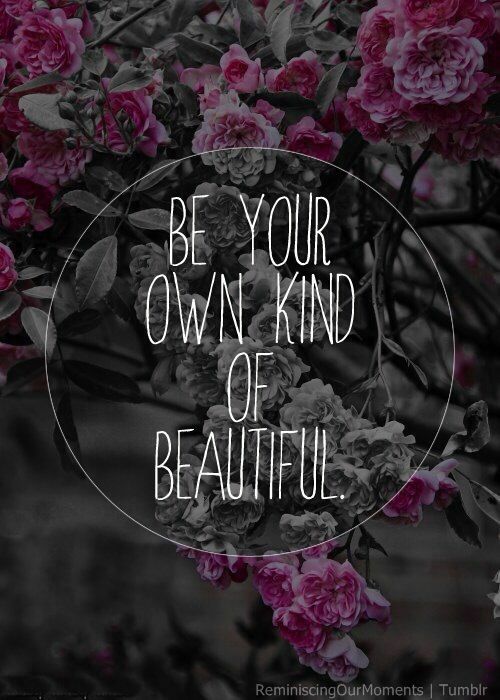 And you will be your own kind of beautiful.